Over the Rainbow: The World is so big.....and a BIG giveaway! Popping in from the kitchen again this week--I've been experimenting with rhubarb this week. Experimentation is always potentially dangerous, so if you're my guest tonight, beware! Hehe. When I agonize about my new off-the-plan stage of life (which happens a few times a day--I think the hubby can say "Oh, sweetie, what you're doing is SO valuable and you'll figure it all out!" in his sleep by now! ), what always relaxes me is to remind myself of this: The world is so big. There are so many potential jobs and opportunities. So many different kinds of lives I could create. The world is so big, and I will find my place in it. the reason you came (if you're new, welcome! ): a giveaway. When my hubby was buying me my Studio Calico goodies while I was taking the bar, I warned him in no uncertain terms that Sugar Woods was going to go quick. So in his rush to get me this add-on, his fingers were a little too sticky and we ended up with two! In honor of my upcoming 100th post, this lovely kit is going to be one of YOURS. Feel free to check out the Studio Calico site for a list of contents. To ENTER, please leave a comment below. If this is your first time here, or you have a private Google blogger account, please leave your email address so I can find you if you win. If you are at a non-US address, we can work something out with the shipping:). Comments will close Tuesday morning at 9am. Thanks, and have a wonderful weekend! What are your plans? And more importantly, have you ever had any disasters (or smashing successes) with rhubarb? So generous of you :) This add-on was sold out before I had a chance to purchase it. Just love that stamp set! Thanks for the chance to win! Thanks! I've never made anything with rhubarb but my mom makes a mean rhubarb crisp! My your hubby's fingers are nimble! So so generous of you Keshet and congrat's on your upcoming 100th post! 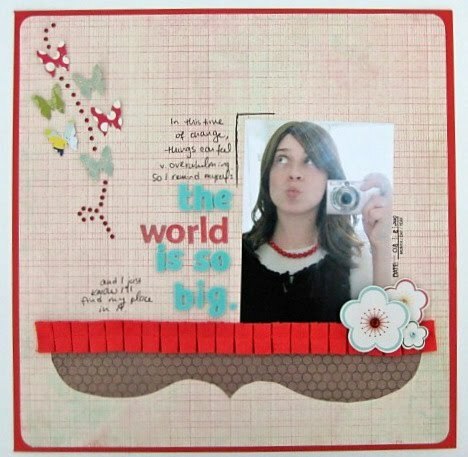 Your blog is one of my fav's :) This picture of you is so cute and I love the bracket you cut. You will figure things out, the right opportunity will come your way, I just know it! Oh and I don't have any advice about rhubarb, can't stand it! I LOVE all of this! It was sold out before I had the chance to buy it as well! Thanks so much for the chance to win a great blog !!! You have a great blog! I wanted the sugar woods add on and I didn't get the main kit, but it sold out too quick so this is an awesome chance to win it. If I have to wait two more months before I can get that alpha stamp I might go crazy! Wow! I'd love to have this add-on! I got Adirondack, which I also love. You can email me through Studio Calico. 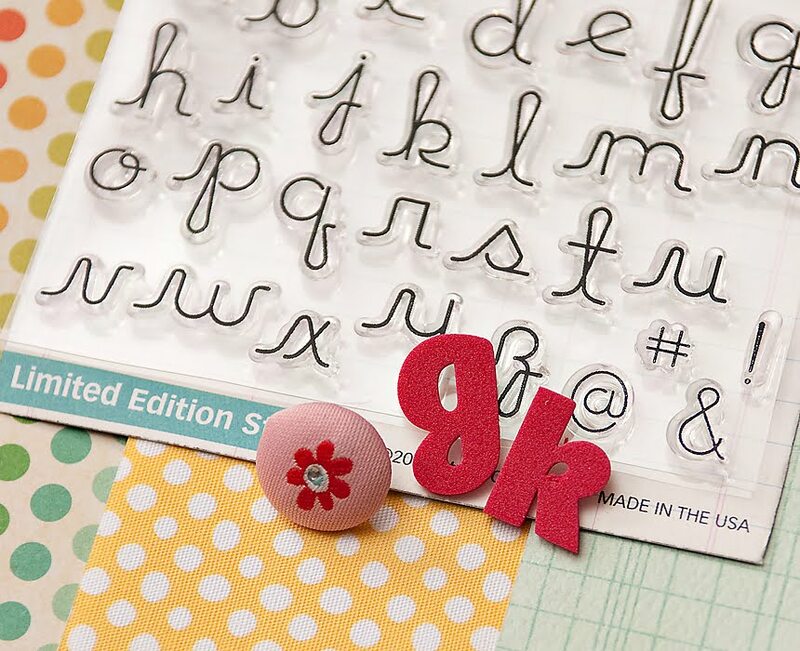 I am brand new to Studio Calico and Summer Camp was my first month for my new subscription. I'm still learning all the "tricks" to this great site, but with all these great people on the message board, I know it will get easier. Thanks for the chance to win! how sweet of your husband to order your studio calico goods while you took the bar! SO adorable! Crossing my fingers for your bar exam! May the 3 months go by quickly! keshet what an amazing giveaway!! and i can't believe your husband bought one for you. as for rhubarb - the only thing i've ever made with it was a rhubarb crisp and it was divine. thanks for visiting my blog the other day! I have been meaning to catch up on yours! What a lucky day to do so, great giveaway! Sounds like you have a great guy! A very generous giveaway indeed! Not a huge rhubarb fan myself so I have no inspired suggestions!!! My week-end will mostly consist of laundry and cleaning and rearranging my son's room. First time visitor on your blog, love the "Over the Rainbow" title. Also love the layout and sounds like you have a very SWEET hubby! Thanks for the chance to win! i hardly feel right entering this giveaway, but i am going to:) it's so kind and very generous of you to offer this - thanks for the opportunity to win the wonderful sugar woods! mmm, rhubarb sounds delish. I haven't had much time for baking or scrapping lately, so I'll have to live vicariously through you. What a fun and generous giveaway! Enjoy your shabbat and rhubarb treats! What a great giveaway! I was too late for that add on and man was I sad. Thank you, thank you! What a great giveaway! Strawberry ruhbarb crisp topped with carmel ice cream is heaven on earth! Yum! Thanks so much for the amazing giveaway! You are so generous. *CONGRATS* on the upcoming 100th post ... and how CUTE that your hubby did your SC Shopping for you! 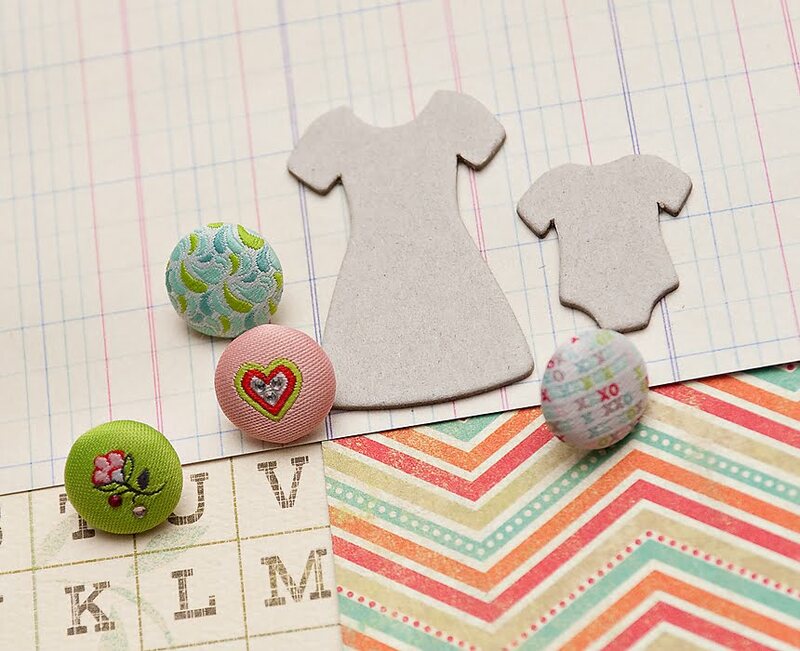 What a generous, awesome gesture to spread the Crafting Love! Sugar Woods is YUM. and i was just thinking that i wish i would've gotten an add on for more embellishments! as for rhubarb, i made an awesome rhubarb strawberry cobbler that was so good. i'd be happy to pass along the recipe if you'd like! Wow, this is such an awesome giveaway!! Thanks for the chance to win. Week-end plans : tonight, I have a crop, then on Saturday, it's cleaning cleaning because we're having friends over for dinner. Sunday is our last vacation day, perhaps we're going to try to finish one of the many projects we have ongoing at home. Wow Keshet - that is one sweet giveaway! And you hubby is awesome to do your Studio Calico bidding for you - you've got a keeper there! I've never eaten rhubard or cooked it so I wish you success with your efforts - let us know how it goes! So lovely of you Keshet! I really like your blog header by the way. WOW - how nice of you! I missed out on Sugar Woods (maybe my fingers were not sticky enough! ;) ) so I'd love to win it! 1} You will find an awesome job...no worries! 3} Love me some rhubarb. In fact, the little town we live by has a huge rhbarb fest every year. So fun! I so loved and missed out on this kit..I love the alpha set!!!! I am celebrating my grandma's (great-grandma's) 90th birthday!! How fun to read about this in my google reader today! And how very sweet of you to offer your extra kit for a giveaway! I honestly know nothing of rhubarb... my mom used to make a pie but as a kid I never touched the stuff! How nice of you to give that away!!! Love the page, too! And I'm about to beg you to pick me. When my salary got cut at work due to a bad cash flow year, I had to cancel my sub to SC to help make ends meet. I so miss it! OK, now if you pity me... pick me! LOL!!!! Have a great weekend, girl! Love the new header K!! Oh man...........how generous of you. And oh man...........I would love to have that baby in my new scraproom!! How sweet! You are one busy lady! Thanks for the chance to win and good luck with your rhubarb! Great Blog! Thanks for having such a great giveaway.... love Studio Calico! That's a wonderful hubby of yours! :) And very generous of you to have a giveaway! It's my weekend to recover from my big trip. Love your LO here and your blog always makes me smile - congrats on whatever life you choose, no matter what you will make it beautiful! How generous of you! I would love it! And I also think I must lift your title on your layout- so awesome and so true! :) Have a great weekend & enjoy the rhubarb! oh my...i thought your giveaway was for the stamp in sugar woods...not the whole add-on! i've got a great recipe for rhubarb custard bars...now i think i'll make them this weekend! Wow so generous I was gutted I missed this one... That stamp set and fabric paper are just me all over... Fingers, toes and eyes crossed for this one... Thanks again. Aw how nice of you!! Thanks for the sweet comment on my blog as well! Have a wonderful weekend! I missed this add-on and would love to win it. That's so generous of you. I love rhubarb especially crumble and rhubarb and ginger jam. You can get me at SC under naomi_m. Congrats on your 100th post. Love your layout, too. It's my first visit, but I recognize you from SC (I lurk). Thanks for being so generous with your extra goodies!! Very cool of you to offer up your extra! Thanks for the chance! No rhubarb fiascos here! Love that layout girl and the world is truly your oyster!! Hi Keshet - I'm new to your blog & really love your work. Thanks for this awesome giveaway - I love everything about this kit & would love to win! PS - I noticed that you're from NJ. Although I live in FL now, I grew up in NJ & will always be a Jersey Girl! Have been a recent lurker in your blog.. And I'm super glad you're having this giveaway cos I missed out on this add-on! Hurray for having a nimble-fingered husband! I absolutely LOVE your layout... hope you don't mind me lifting it? The photo is precious! Congrats on your 100th post.....just think, before you know it you will hit your 1,000th and you'll have to give away a car or a huge cash prize! LOL! Love SC. They always have great monthly kits! may what you give come back to you tenfold. My fingers are crossed, the girls and I were in Greece during reveal and despite attempts at finding an internet cafe to order, I missed out on this kit. Smiling just knowing there is a chance. ummm awesome!! How generous of you!! Ooo Ooo pick me. 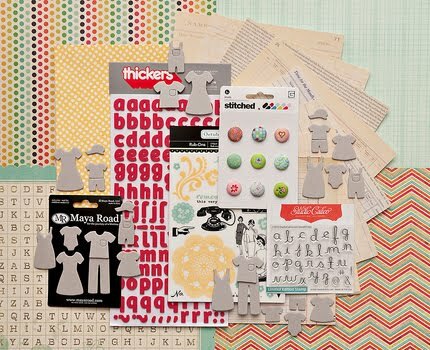 This is such an awesome add on kit - the papers the stamps. And how awesome of you to have this giveaway. My nanna used to make a gorgeous apple and rhubarb crumble. With hot custard. I may just need to make some now! Awesome giveaway Keshet! You're such a sweet!! I'd love to win it for my cousin she is a scrapping newbie and is thinking about joining SC. She woud love this! Ihave no rhubarb anything except my Gma loves it and makes goods with it so I'll have to ask her and get back to you. SO cool about your 100th post coming up congrats!! My grandma did wonderful things with rhubarb...me-not so much! good luck with it! what!?!??!? Wow this is so nice of you!! Thanks for the chance! Holy Canoli - 76 comments already! I just came here on my usual trek to check your blog out - and lookie what I stumbled upon! Fantastic layout (as usual) - and all these people trying to push me outta the way of that prize...heehee. Have a great weekend! Wow, what an awesome prize to share! Congrats on your 100th post! This is so kind of you! Yay for your awesome hubby! Such a sweet husband. and so generous of you. Love SC! congratulations on your 100th post and best wishes as you prepare for the bar. Entering the next phase of your life must be a bit nerve raking (is that how you spell it? lol) but also EXCITING. Love the layout and that you took time to use your creative skills to help you work thru your feelings on this next step! And WOW on the giveaway. So generous :) It looks amazing. What a fabulous giveaway and what a sweet hubby to take care of making sure you didn't miss it while you were busy taking the bar exam. I love how you share your feelings and the stresses of change. We all get them but you are so honest in your layouts. Wow! So nice! I would really love to win! I'm always bookmarking your pages at Two Peas...better just go ahead and add your blog to my reader, too, huh!?! Have a great week! Your blog is adorable! I signed up immediately to get updates. Umm...yummy! I would love this kit! What a beautiful blog you have too! ooooh rhubarb strawberry cobbler is my fave....and it's hard to mess up! my mouth is watering just thinking about it! wow! what a generous giveaway! I love SC and found your blog through Two Peas. Thanks for the chance to win! What a great prize!! !and have never had rhubard...... must be good though. Thanks for a chance at winning your giveaway. I love strawberry rhubarb pie, but I hate strawberries. I haven't ever bought rhubarb because it looks like pink celery and I don't like celery. I know, crazy.